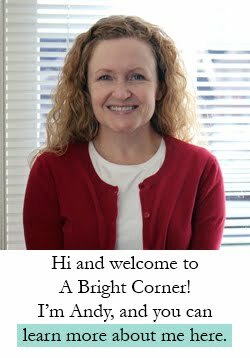 A Bright Corner: A New Project + a Handmade Giveaway! 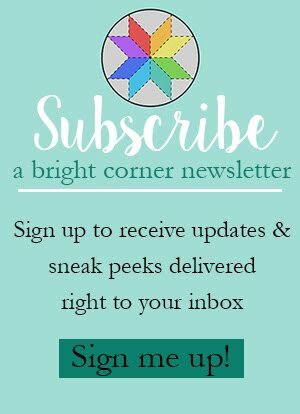 A New Project + a Handmade Giveaway! I'm cutting into a new layer cake this afternoon. I think for me, this stage of the project is the most exciting. I love the planning and the math and the anticipation of what the finished quilt will look like. The lovely fabric I'm using for this quilt is the new line from Bonnie and Camille, called Handmade. There are some really great prints in this line - I love the hexagon prints, and the oh-so-pretty florals. And I can't leave out the bias stripes. Boy do I love a good striped fabric! You can see more of the whole line here on Moda's site, and here at the Fat Quarter Shop. Would you like to win some Handmade? 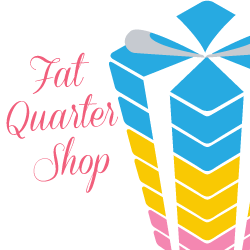 The Fat Quarter Shop has generously offered to give one of you a full fat eighth bundle of Handmade! To enter the giveaway just leave a comment below telling me what your favorite pre-cut is! And if you're a no-comment blogger, be sure to leave an email address so I can reach you. Giveaway will be open until Thursday, September 8th at midnight and I'll announce the winner here on Friday. Good luck, and have a great Labor Day weekend! I love doing the math too! My favorite precut is the fat quarter. Especially when it's in a great big bundle! I love fat quarters. So many quilting possibilities! Thanks for the giveaway! My current fave precut is either fat quarters or fat eighths because then I can usually use the fabric in more than one quilt! I like layer cakes-very versatile! I don't have a favourite precut but when I buy a small amount it's always 30 cm. Thank you for the opportunity to win. I don't know whether it is my favorite but I sure want to try the new jolly bar. It sounds like it will be fun to use! I'm excited what you make with this fabric. I love all pre-cuts for different reasons but my favourite is probably the layer cake. Love those fat quarter bundles but what I usually buy is a charm pack just to see all the fabrics in the line. Great giveaway! Thanks! I like fat quarter bundles because they are so versatile, but mini charm packs are so cute that I can't resist them! Fat quarters or half yards are my favorite pre-cut. Bonnie & Camille's fabric is always special. I like fat quarters as they provide the most versatility when choosing projects. Love All pre-cuts!! Layer cakes and all size charm packs where I can see and enjoy the entire line. Bless you for offering give-always! I really love FQ bundles. If I really love any print, then I can always get more. Fat quarters are my favorite. I love the colors in this selection. Bonnie & Camille's fabric are quality! I love layer cakes, affordable enough to collect all your favorites! I like layer cakes because they usually are enough to make a lap size quilt, depending on the pattern. I love fat quarter bundles because when you love the collection, more is better! Fat quarters for me, although all of mine are round. LOL. Love the new "Handmade" line. It reminds me of my grandmother. Thanks for the giveaway! I love Fat Quarters. I'm doing a few small things with Charm packs. Handmade is wonderful. My Birthday is the 11th so keep me in mind. Thanks, Nancy P.
I love fat quarters! So much you can do with them! I have always liked charm packs. First I'd say fat quarters, but then layer cakes! The precut I buy the most of is a jelly roll. I appreciate all of the wonderful patterns they work well in. My second favorite is a layer cake. I especially love working with fat quarters, but rather fond of fat eighths, too! I tend to buy fat quarters, but love the jelly rolls also. There's always room for charm squares! I haven't worked with many fabric precuts, but I like the fat quarter! I am a layer cake girl!! I like charm squares and I have way too many in my stash. Thanks for the chance to win! Fat quarters are great, but I also enjoy layer cakes! Mostly I go for charm squares. Thanks for the great giveaway! I really like Jelly Rolls because I have more patterns using jelly rolls but honestly I like all precuts. They are so simple and easy to use. Count me in ! I like fatquarter stacks. I just used some charm squares in a project, and they had pinked edges, making them not quite measure a full 5 inches (NOT GOOD). Many times I find 'elbows' in my jellyroll strips (ALSO NOT GOOD), and I feel like layer cakes limit me to only using specific designs unless I don't mind waste (NEVER GOOD). So, fatquarter stacks or fateighth mini stacks are a good place to settle, don't ya think? While I love fat quarters, I buy more layer cakes. Thanks! I love fat quarter bundles the best! I dream of fat quarter bundles, but I most often buy layer cakes, for budgetary reasons. Thanks for the chance to bring home some Handmade loveliness! I love fat quarter bundles. So much fun to play with. I agree- I really love fat quarter bundles. Fat quarters can be used so many ways! Fat quarters are my favorite fabric cut and the most affordable variety for me. My favorite precut is the fat quarter. They are so versatile and fun to work with. My favourite precut is a fat quarter bundle - enough fabric for a full-sized quilt and a few leftovers to add to a scrap project. Perfect! When adding to my ever growing stash, I can't resist a fat quarter, but most of the patterns I use require a layer cake so it would probably be my favourite precut. I also love the cutting out stage the most! I find that my favourite precut is the good old fat quarter bundle. I can get several quilts out of one, and have scraps left over for even more quilts! Love this line! 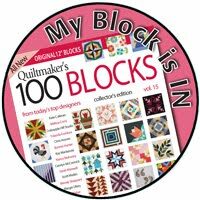 My favorite precut is a fat quarter - just works perfectly for the multi fabric quilts I love to make. I love FQ bundles... Everything matches perfectly for a beautiful quilt or other sewing project!! This collection is lovely!! 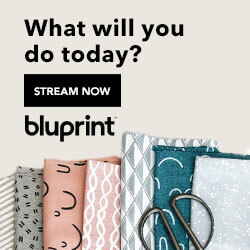 I love your website and B and C...would love to sew a beautiful quilt from this line!!! I like fat quarters or charm squares. But I've also bought a bunch of mini charm packs for hexies. And some fat eighths to make the scrappy kind of quilts like it! Fat quarters are the best! But I also love charm packs. Less cutting and more sewing is always a good thing in my eyes! Currently I am coveting a collection of Handmade! I love to collect fat quarter bundles then add some yardage of my favorites. Fat quarters are best. They can go any direction your imagination wants to travel. I don't buy many precuts but charm squares are fun to play with! What a lovely giveaway! Having said that Fat Quarters get my vote. The Layer Cake is the pre-cut I use the most. The quilts I've sewn are not bed size and the various cutting requirements could be done easily from the layer cake. Thanks for the hint of prints and colors in Handmade! I love layer cakes! They seem to be the most versatile pre-cut for me, as they can be used with my favorite templates. I can also cut them into charm squares if I need to. My first precut was a jellyroll❣ They are fun to just quickly make a strip quilt or cut in diff ways to join. Would love to win a fat eighth to try. My favorites are layer cake and fat quarter or fat either bundle, so many wonderful possibilities. Thanks for the giveaway! my favorite is a jelly roll but I like them all! Fat quarters are my favorite precut. I like using Layer Cakes as I seem to be able to get any of the sizes of pieces I need out of them! Fat quarters are my favorite pre- cut! Oh my...what a lovely line f fabric...I love fat quarters...thanks for the chance to win. Have to agree with so many others, a Fat quarter is my favorite. I love layer cakes. There is so much you can do with that 10 inch square! In any format. Thanks for the draw. Today, my favorite pre-cut is a Layer Cake. I like either fat quarter pretty cuts, there's so much that can be done with it! If I could, I would get half yards because I like that the most! Thank you for a chance to win. My favorite precut is the fat quarter. I feel that it is the most versatile. Bonnie and Camille fabrics are my favorites! 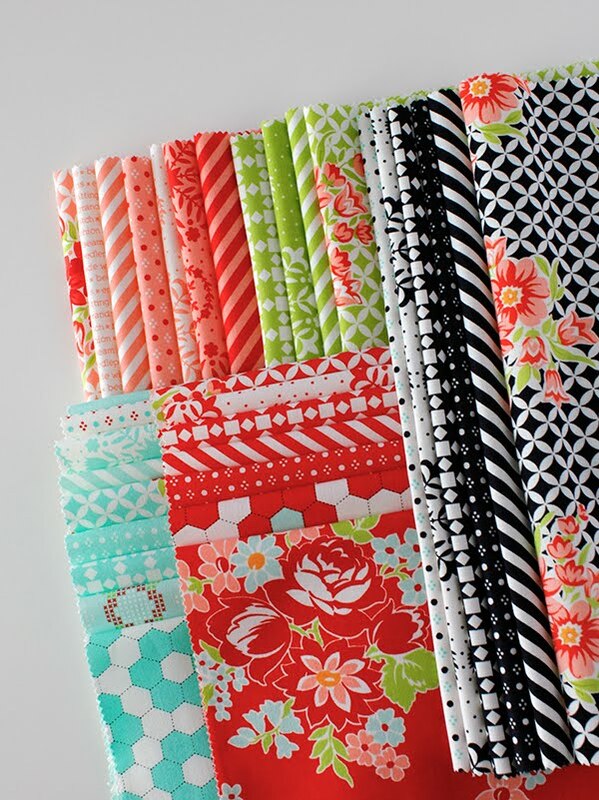 It's hard to choose, but fat quarter bundle it is, with layer cake close behind! Ummm yes! hmmm I love fat eighths - they are so cute! Thanks! Andy! I prefer fat quarters so I can cut my own pieces. I don't find other precuts accurate enough for my perfectionist mentality. I like the math, too! I don't go anywhere without my graph paper notebook and little calculator. I love charm squares and fat quarters. Both get my imagination working. I love fat quarters too but my budget usually leaves me purchasing layer cakes. Fat quarter bundles are my favorite. Charmpacks are my favorite. This would be my first fat eight bundle! I love jelly rolls. They're so easy to use and store. My favorite used to be jelly rolls, but now I'm realizing how versatile layer cakes are! I love fat quarters the most, but jelly rolls and charm packs come close! I love a charm pack because they are big enough to do so many things with. Playing with them gives you a chance to pick favorite prints I might want to buy bigger cuts of. I'm pretty much happy with any pre-cut, but I think my favorite is still the FQ bundle. Although I rarely use the whole bundle at one time, I love having a cut that I can use in so many ways. Most of my favorite quilt, bag, pouch, pillow, kids' clothes patterns use FQ's. What a great giveaway. This would be awesome to win! I love a fat quarter bundle, followed closely by charm packs. This would be a great collection to win!! I love charm packs and fat quarters! Such versatility!! My favorite precut is the layer cake unless I have enough for the fat quarters. I would live to win the Handmade! Thanks! 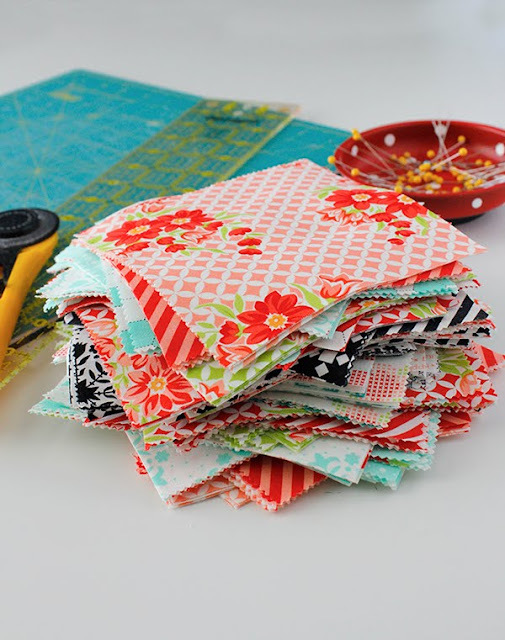 My favorite precut is a fat quarter bundle...because you can make every precut size from it! Handmade is beautiful! And I can't wait to see what you make out of it!!! Thanks so much for the giveaway! Of course I love all precuts for different reasons, but if I had to pick a favorite it would be a FQB! 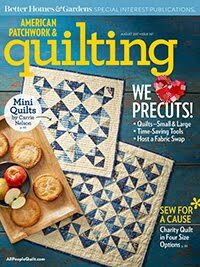 My favorite precut is a fat quarter bundle because they are the most versatile. I'm really looking forward to seeing what you make! Fat quarter bundle...coordinated to each other and lots of useable fabric. Of course I love fat quarter bundles - more fabric! But I must say I'm also a huge fan of charm packs. I would love to just once buy a one yard bundle but usually just buy fat 8ths! I think mine would be charm. I always but it, it doesn't breat the bank. Noe would I love a yard bundle of everything? Yes, but in reality, I always go with a charm. I love a fat quarter bundle. When I make something my scrap bin always gets some added surprises. Love leftovers!! I can't wait to see what you're creating!! If I'm not sure what I'm going to make I at least get a couple of charm packs and maybe a mini, then I tend to get Layer Cakes for specific projects. I enjoy using jelly rolls but all precuts are fun since you get to use every fabric in the line. I usually buy fat quarter bundles of fabrics I really love, F8 bundles for scrappy projects, and charms and mini charms for hexies. I looooove fabric! I LOVE fat quarters! That way I can afford a nice variety from several different lines & mix it up a little! I love fat quarters and charm packs! Great giveaway! Fat quarters are my favorite. I think fat quarters but economics says: layer cakes. My favorite is a fat quarter bundle...but if that's not in my budget....I will choose a layer cak. Fat quarters are usually my favorite. You can do so much with them. Love the colors in the new fabric you showed. The stripes would look good in any quilt. I love all pretty cuts. Hard to pic one. Maybe jelly rolls. No maybe layer cakes. No maybe it's charm packs. No its got to be fat quarter bundles. No ..... oh goodness I just can't decide. The struggle is real! 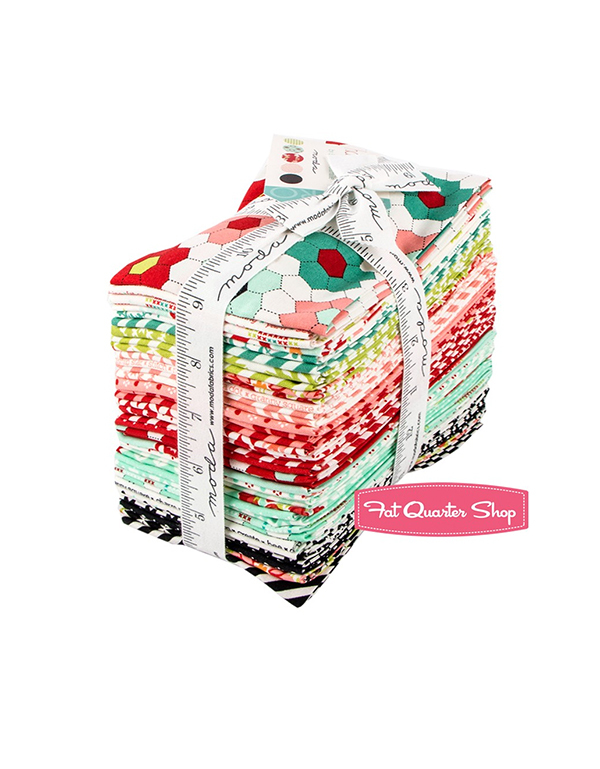 Who doesn't love a good fat quarter or any bundly for that matter? I love how versatile fat quarter bundles are! I love fat quarters and that is some gorgeous fabric! I would love to win. Thanks. Lately, I've been preferring fat eighths. They're versatile, but less expensive than fat quarters. Oh my gosh, so hard to pick a favorite pre-cut. I think mini charms are my favorite because you can try out so many different fabric lines. Thanks! I love how much you can do with FQ bundles. I tend to buy a Fat Eighth bundle. They are very versatile, cost effective and fit easily into a FRE for shipping. I usually need to see the fabric in person before making a big commitment. Charm squares are versatile and give you a feel for the whole fabric line. I just learned about jolly bars & I think they're kinda neat! I love to look at jelly rolls, but I find I use Layer Cakes the most. This is gorgeous fabric! Although I had to be taken kicking and screaming to try them, I have come to love and appreciate all pre-cuts. If I have to choose one, right now I'd have to say that Jelly Bars are my favorite. 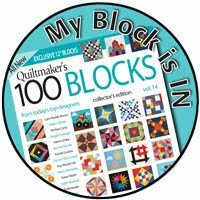 I used them when working on two quilts this past month and they are making life so much easier. I love them all, but my favorites are layer cakes and charm packs! I absolutely love fat quarter bundles! They offer a little more flexibility when choosing a pattern for them. Next up would be layer cakes. My favorite is Jelly Rolls but I have a great love for all of them due to their convenience. Doesn't get any better than precuts. My favorite precut is a good ol' fat quarter bundle, but to be honest - there hasn't been too many precuts that I've met that I haven't loved and bought!! Hi, I would usually say my favorite precut is a fat quarter, but I am loving the jolly bars. They are can be used so many ways. They make fun quilts that are easy. Have a happy day! I really like the charms,lots of choices. I love layer cakes! Thanks to you and the Fat Quarter Shop for the generous giveaway. I love Layer Cakes: that precut is so versatile and fun...thinking about it, though, I don't think there is such a thing as an unfavorite precut! They are all wonderful!! I love layer cakes! I can do so many different things with them. I also love Jelly rolls, but that might be because they are so fun to look at on the shelf. My favorite is the Fat Eighth bundle. You have plenty of fabric for a complete quilt without a lot of extra. I'm fairly new to quilting so I haven't used enough precuts to have a favorite. But, I LOVE Bonnie & Camille fabric and would so enjoy using Handmade. I like layer cakes! So many possibilities with the precuts! Layer cakes are my very favorite! Love fat quarter bundles! Thank you for the great giveaway. I prefer fat quarter bundles but the price usually dictates that I buy layer cakes! Lately I've been experimenting with jelly rolls. So many possiblities!